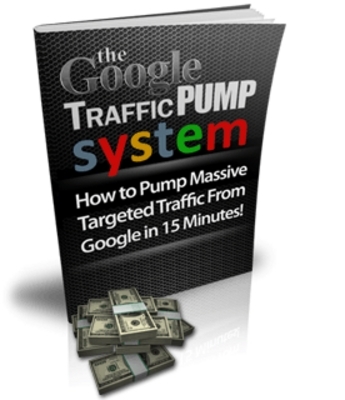 The Google Traffic Pump System shows you how to get free targetted traffic from Google to your website in 15 minutes! The Google Traffic Pump System package gives you everything you need to start an online business and it makes the perfect compliment to an existing product portfolio. The Google Traffic Pump System is essentially a turnkey business-in-a-box! In this section, you get to see exactly how to create this highly targeted list of keywords using free Google tools as well a few others that dont cost you a single penny! In fact, many online marketers dont realize the power of questions! Strategically designed questions that contain your top keywords or keyword phrases can be extremely effective when it comes to driving massive traffic to your websites in record time! If you do not have a Gmail account, this step will show you how to do it. This may seem like a very trivial step in this system, but in fact, its the most important! Many new-comers to online marketing dont realize how many free and VERY powerful tools that Google provides. Google Alerts are no exception.